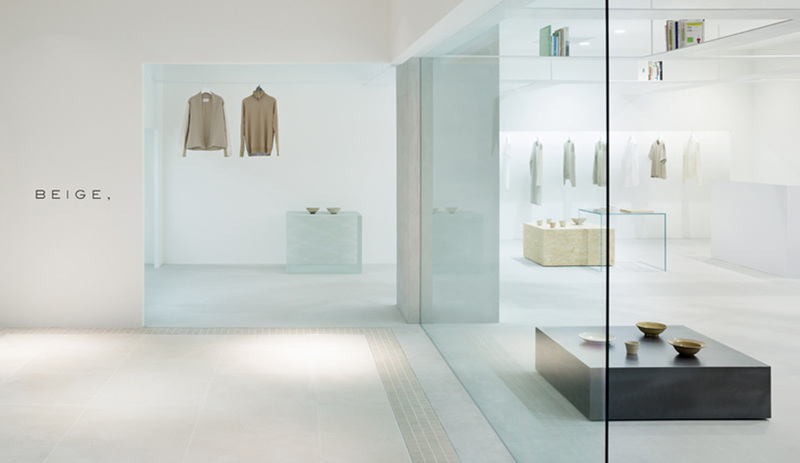 Together, these retail interiors – from a clothing store by Nendo to a sake shop by Kengo Kuma – illustrate the timeless and ethereal quality of design in Japan. 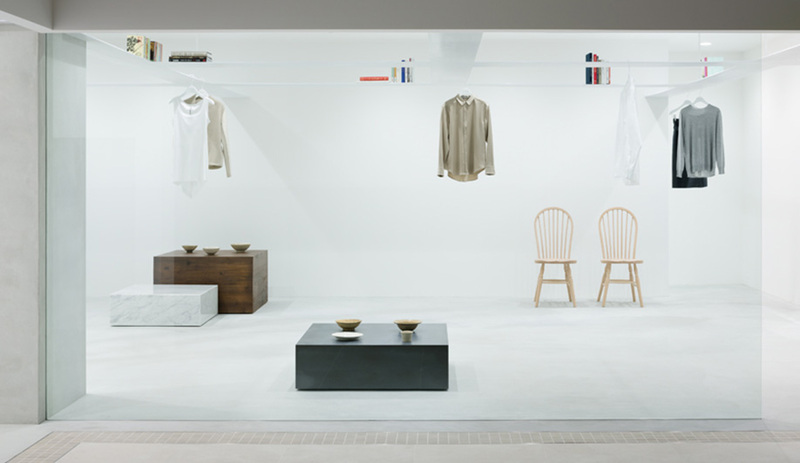 At the Tamagawa Takashimaya shopping centre, a newly realized concept store by Nendo juxtaposes clothing with household items such as books, which are held in place with magnetic bookends on a grid of thin beams that also function as garment rails. 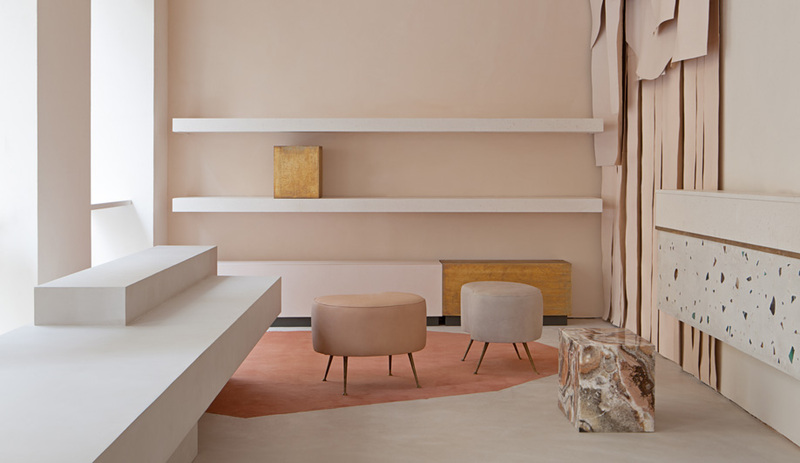 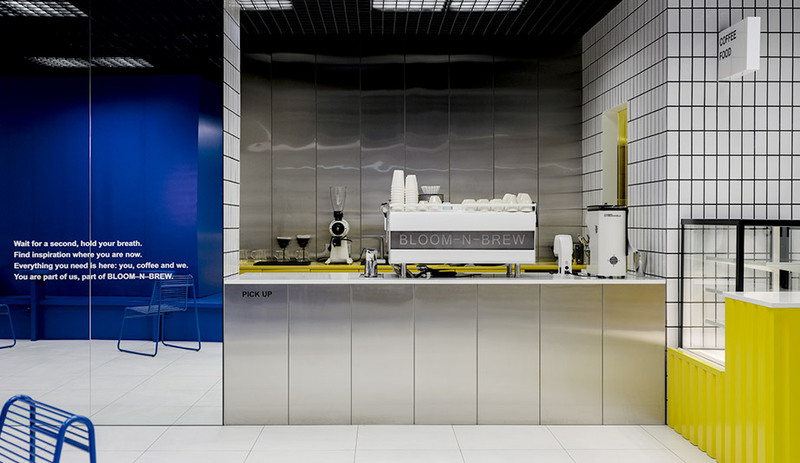 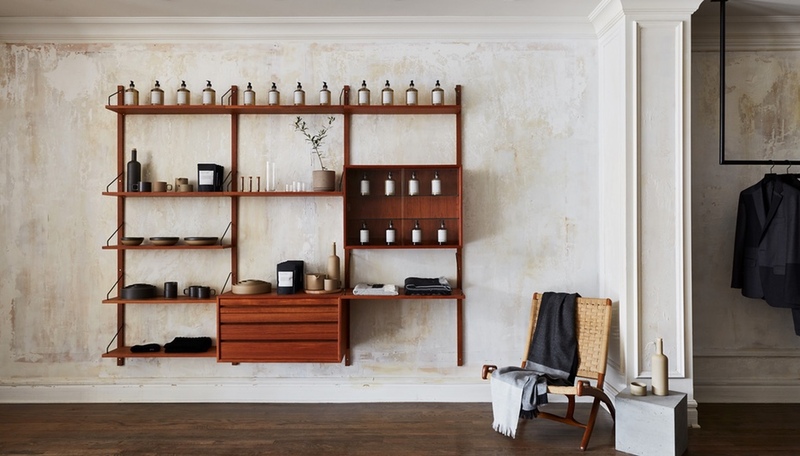 A variety of movable display tables – simple plinths of such materials as glass, marble and wood – showcase pottery and other goods, while doubling as step-stools and accommodating a flexible space to allow for art shows. 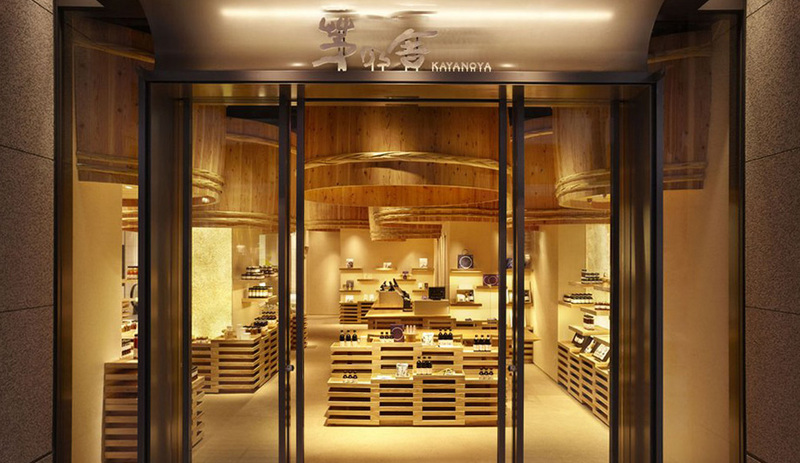 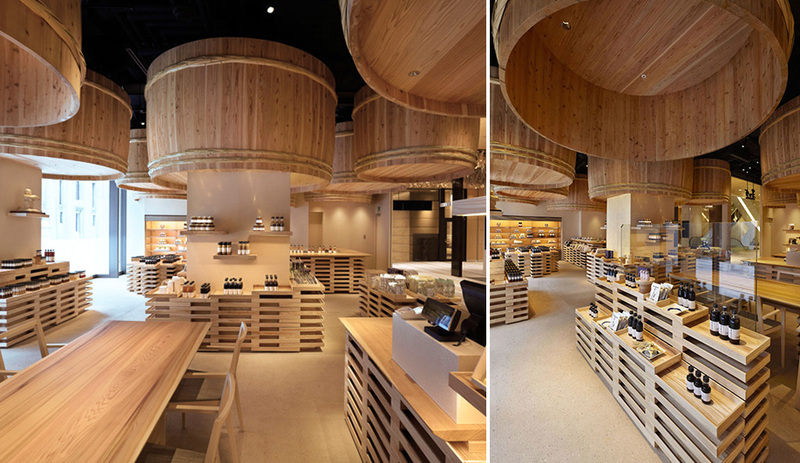 A recent project by Kengo Kuma and Associates, this 133-square-metre shop in the Nihonbashi district of Tokyo reproduces a traditional sake warehouse, with a twist: brewing barrels create imposing ceiling fixtures, while traditional wooden trays, called Koji Buta, are stacked to become furnishings and display counters. 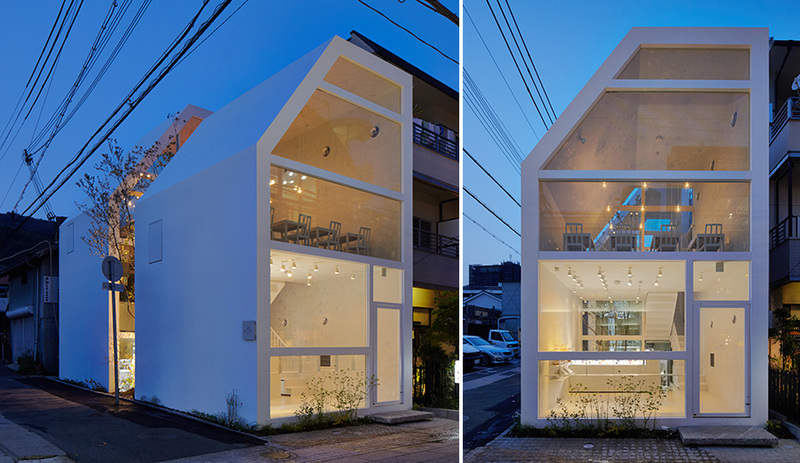 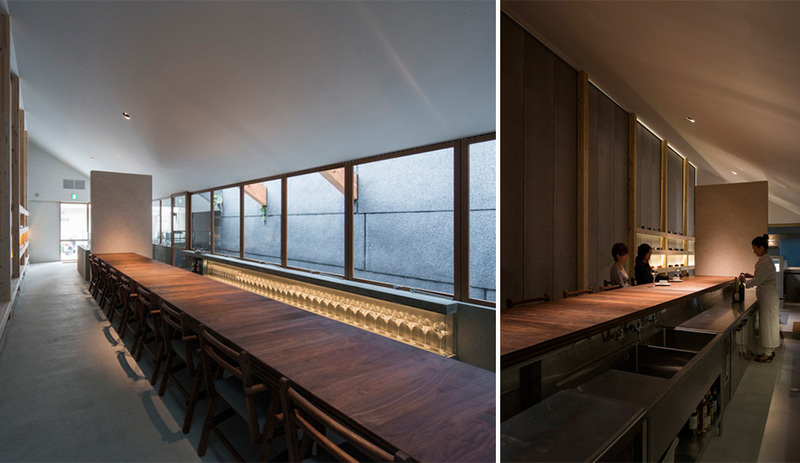 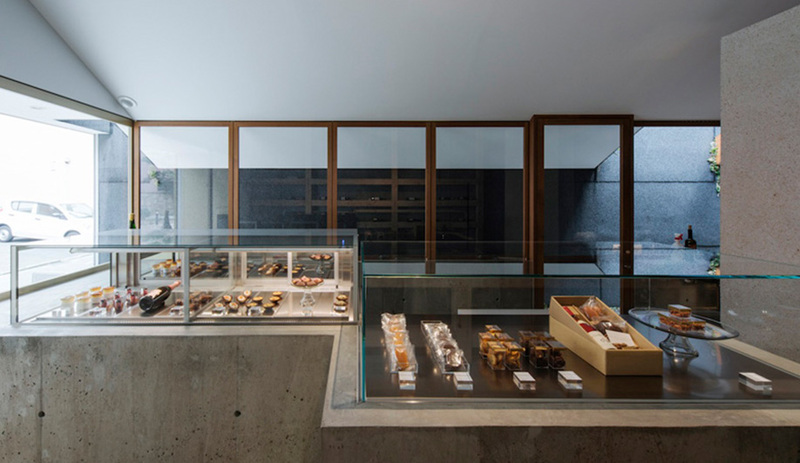 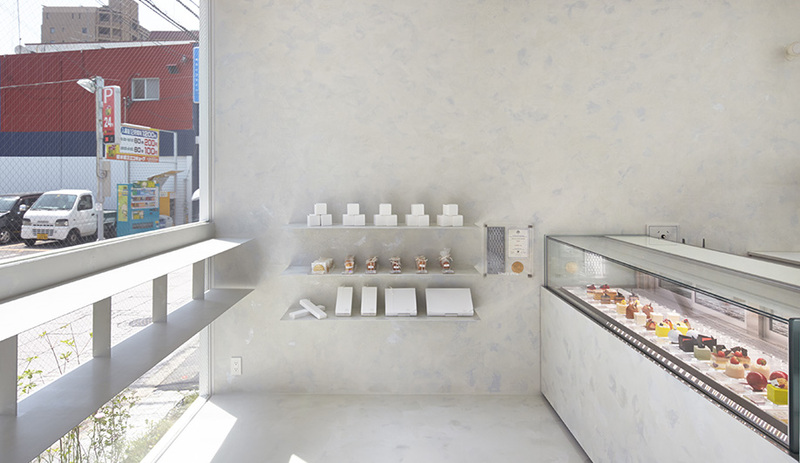 To separate the customer areas from the kitchen and back-of-house facilities, Yuko Nagayama partially bisected a cafe-patisserie building with a small courtyard visible from both sections – essentially creating two linked structures, with windows to connect the view from front to back. 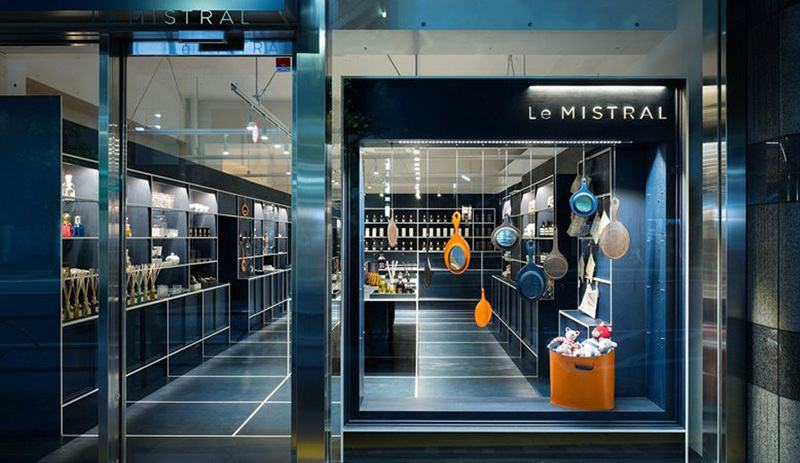 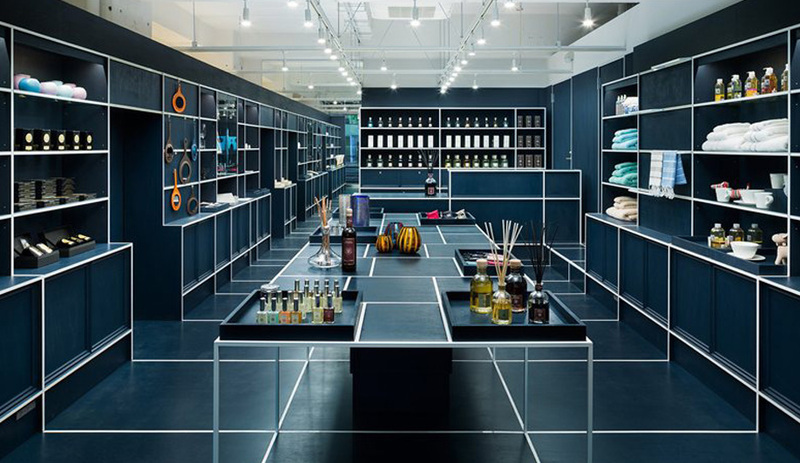 The geometry of this gift shop inspired JP Architects to delineate the space according to preexisting grids, while the contrast between the brand’s signature white and navy lends visual impact and a nautical flavour to the interior. 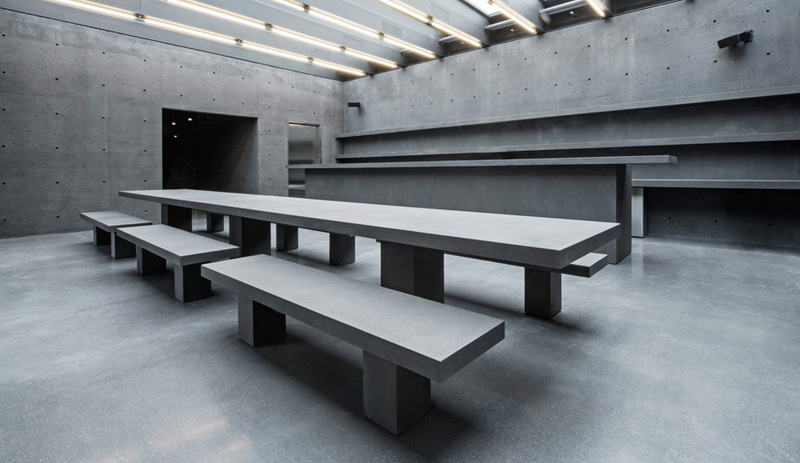 Every detail, from furnishings and fixtures to the outlines of doors and windows, is framed with a 15-millimetre white line which unites – and simultaneously divides – the space. 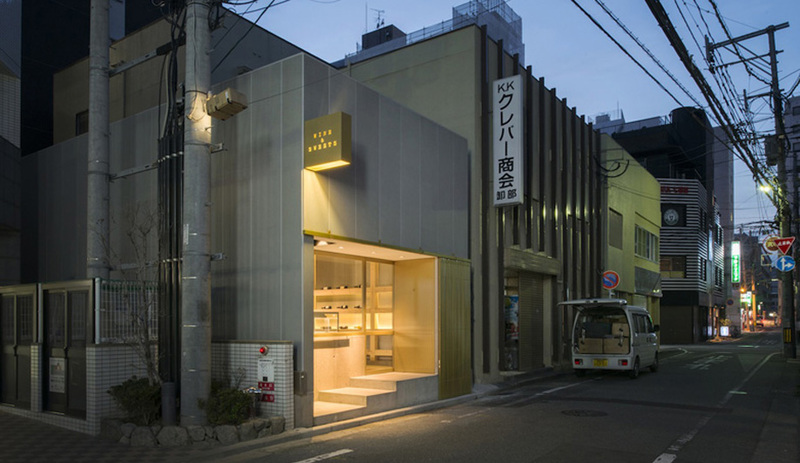 A diminutive but compelling wine and sweets shop is nestled between high rises in Fukuoka, on the island of Kyushu. 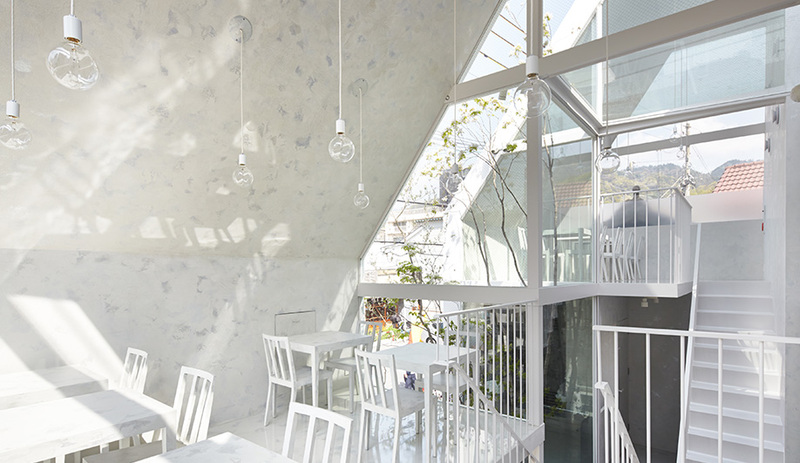 With the aim of creating an oasis within the city “jungle,” Case-Real Architects incorporated a broadly sloped roof, which finds its lowest point at the southern wall, behind the service area.